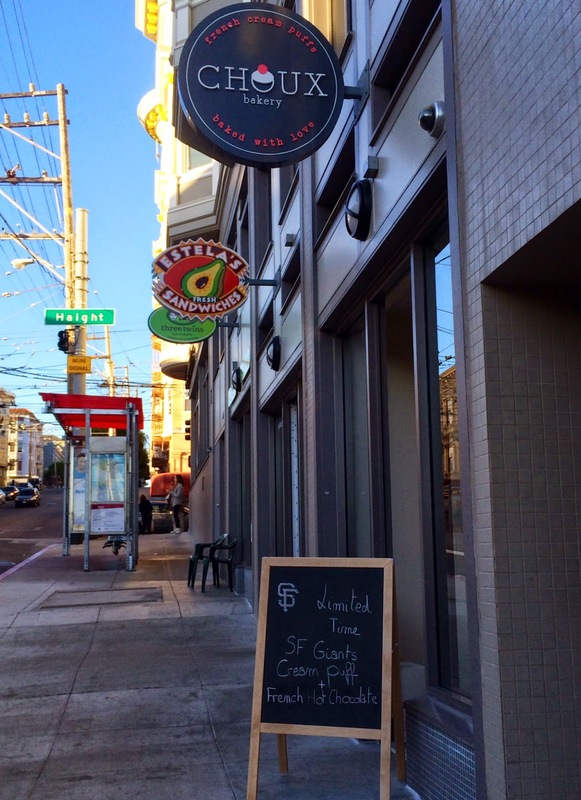 The Lower Haight just became more hallucinogenic, thanks to a fancy little boutique selling a rainbow assortment of colorful French cream puffs. 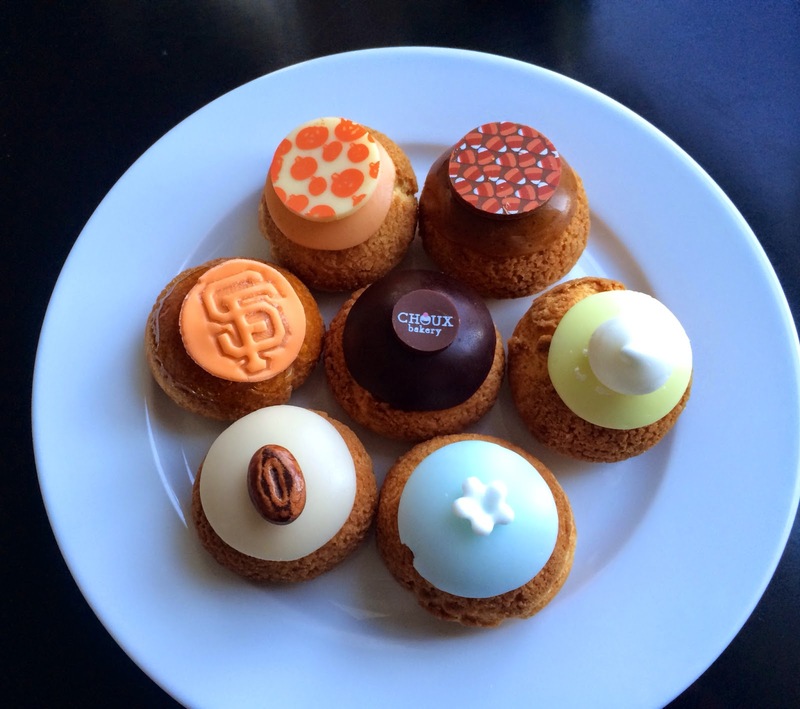 Choux Bakery is just what the neighborhood needed to edge forward from hippie to shi-shi. It's a taste of Parisian chic! 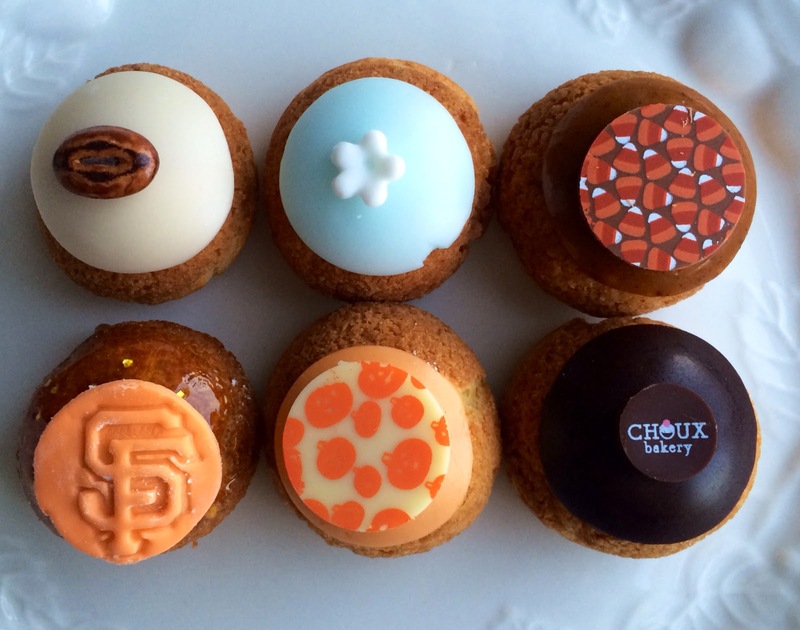 Opened this October, Choux Bakery is the creation of Laura Athuil, who recently relocated from Paris. Athuil trained at the prestigious Ecole Lenôtre and Atelier Alain Ducasse—two of the most renowned culinary programs in France. 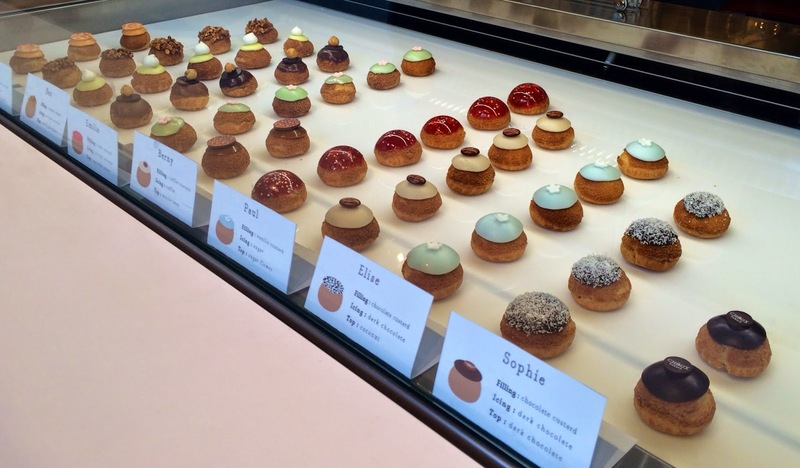 Choux specializes in cream puffs made with a traditional soft, flaky dough and filled with silky custard in different flavors. The bakery uses high-quality authentic ingredients. Some of the key ingredients are special items imported from Europe that are favored by French chefs. There are 12 varieties: chocolate, vanilla, coffee, pistachio, rum, hazelnut, chocolate coconut, salted caramel, lemon, and seasonal flavors such as pumpkin. Laura's flair for design (she has a degree in Architecture and Design) is evident in the exquisite decor. The attention to detail in the frostings reflects the quality of the ingredients and adds a touch of refinement. Choux cream puffs are definitely worthy of a special occasion—a birthday celebration, baby shower, afternoon tea or dinner party. Choux cream puffs are a magical treat! C'est magnifique! Copyright © 2014-2015, Lisa Alexander. All rights reserved.